Let´s start October with a very special post that has been in the backup for a long time. It is the first of a series of hacks of our famous coat/raincoat pattern (yes, we know it is not a proper name, but we are dealing with it). This is a really versatile pattern because you can use different types of fabric, with different weights, to achieve different final effects: from a classic wool coat to a colorful raincoat with a hood (your favorite option so far). If you don´t have this pattern yet, and you want to follow this tutorial, the pattern is available from 3-36 months or from 3-12 years old. Ready? Then, let´s start! Other material to finish the coat, you will also need (SEE INSTRUCTIONS): detachable zipper, thread, marker, pins, needles, measurement tape. 1 cm seam allowances are included in the pattern. If not, it is indicated in the pattern. See the measuremnet table included in the pattern instructions. Take the measurements using a looseness garment from the baby and choose the size from the measurement table. 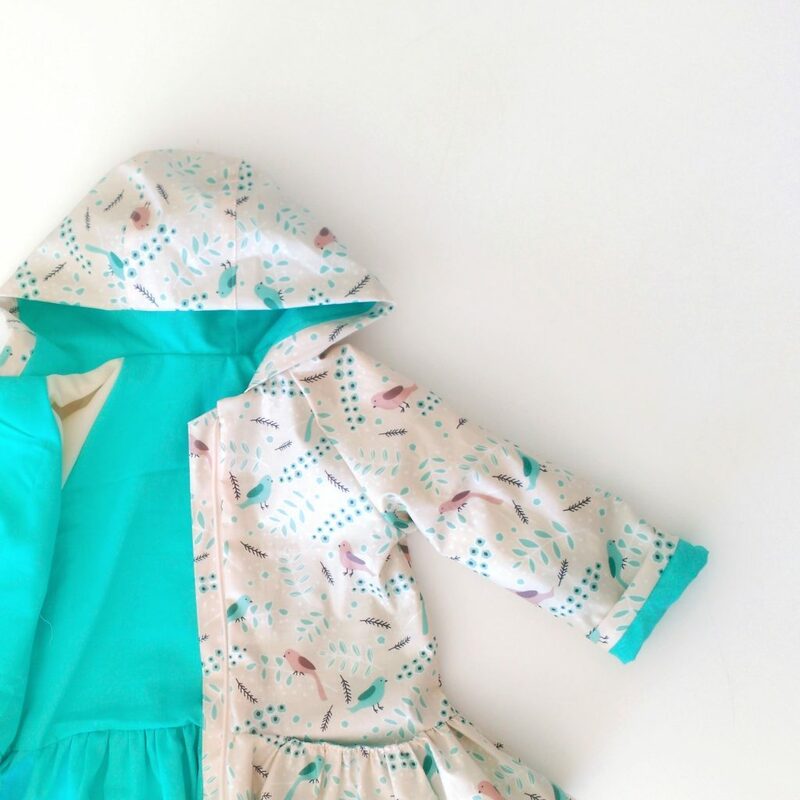 Choose the size that fits better with your measurements (take into account the measurements taked, not the age of the kid) and copy and cut every single pattern piece. 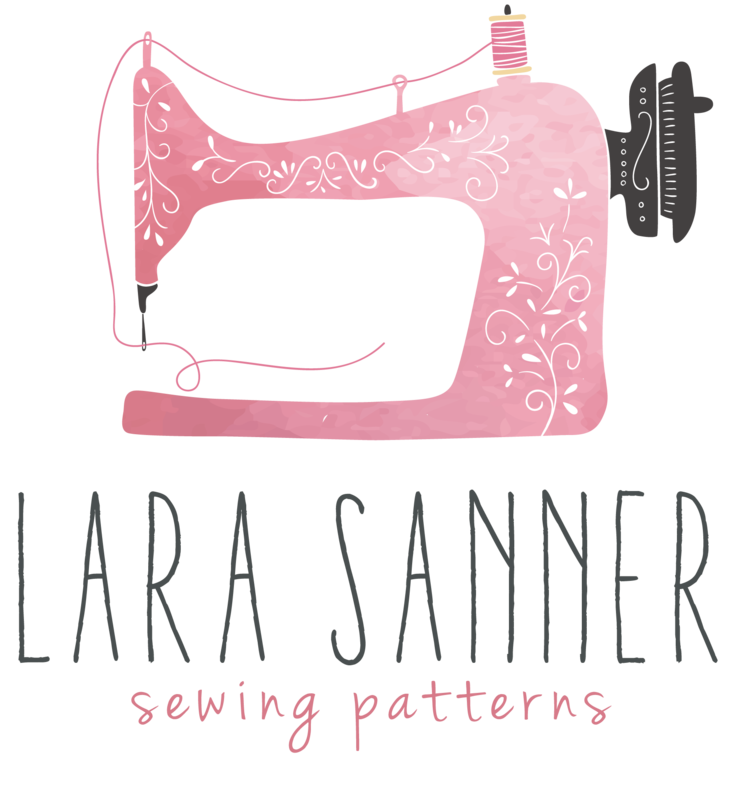 Don´t forget to write down the name of the pattern piece, how many pieces to cut, the grainline and every single mark you will need to transfer onto your fabric (buttons, buttonholes, zipper position…). Every single step to make this pattern hack is included in the video at the end of this post. It starts with the explanation to modify the pattern pieces and, then, how to sew it. To finish your coat you finally just need to follow the pattern instructions that are included in the pattern. 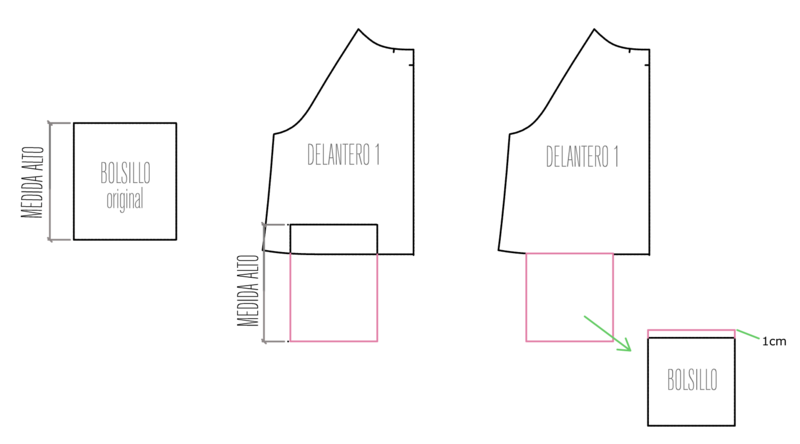 To make it easier, you can also follow the next diagrams so you don´t miss any detail. Draw a perpendicular line to the center and 2cm from the waist notch, in both pieces, front and back. After that, align both pieces and make that union line soft, to avoid peaks. Cut by the lines you have just drawn to have separate pieces. 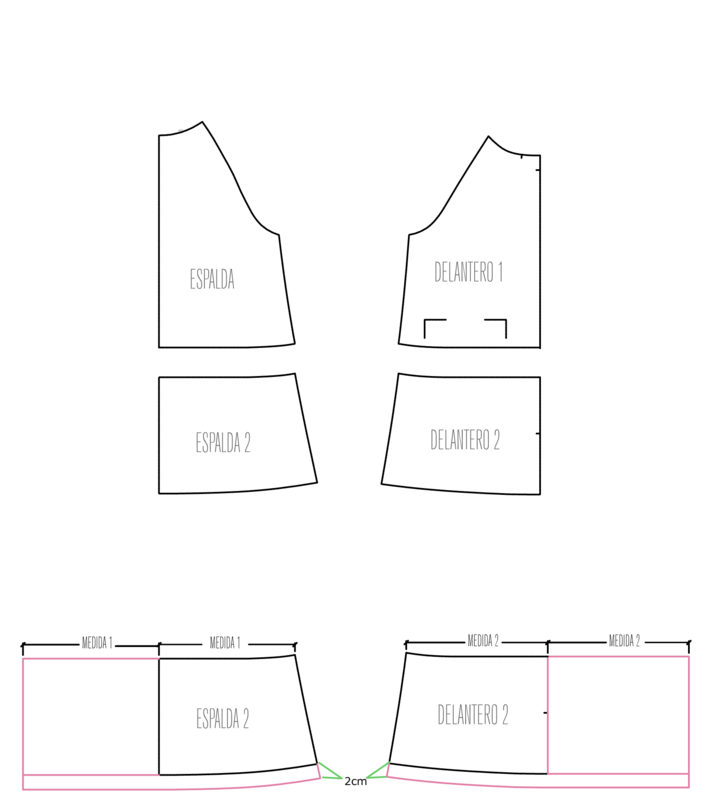 To add the gathers, we will double the width of the piece, front and back, as it is shown in the diagram and in the video. 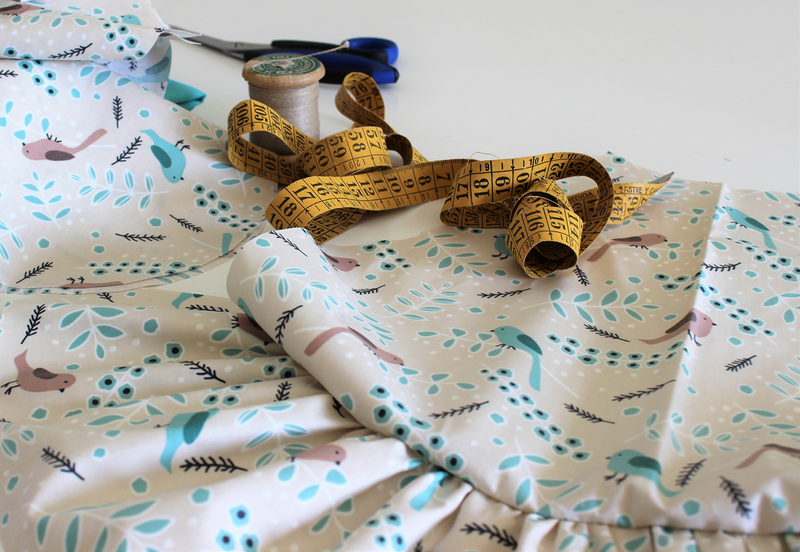 You also need to add 2 cm seam allowance at the hem of each piece, front and back in order to make it longer. We are drawing a new piece using the main pocket pattern piece. It will have less depth so that it does not exceed the length of the coat. We are joining the pocket and the front piece. 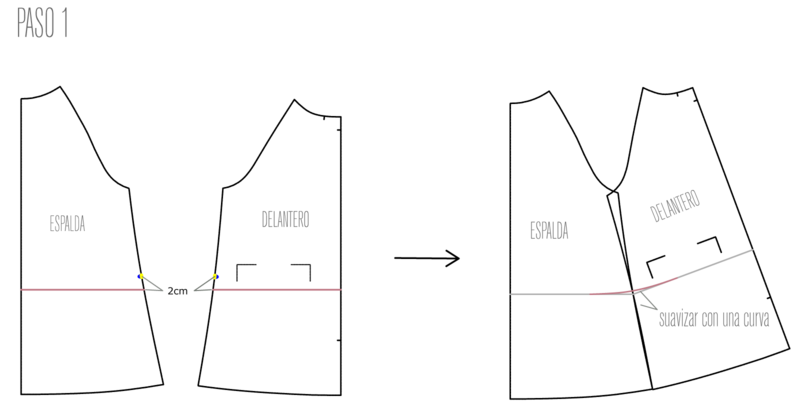 Put the pieces together as it is shown in the diagram and in the video and also add 1cm seam allowance to the upper part of the pocket piece. Repeat Step 2 for the front and back lining pieces until you get the modified new pieces. The rest of the pattern pieces are the original ones. You can also see every step in the video down below, followed by the tutorial to sew the pieces together and the pocket. And finally, to finish your raincoat, you just need to follow the rest of the pattern instructions. Just a recommendation for the lining: you can sew it directly to the hem of the main pieces, as it is indicated in the pattern instructions, so you will have more volume at the hem. Another option is not to sew the lining to the main fabric and just make a hem, so you just join the lining to the main fabric by the side seams and the neckline. You can choose which is your favorite option! If you have any doubt, do not hesitate and ask HERE or leave us a comment down below.